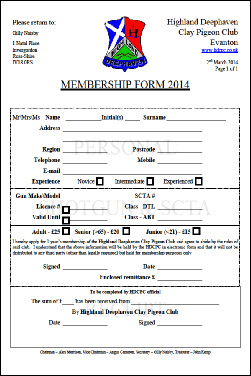 Membership renewal forms have been sent out to all 2015 members. Please check details sign and send back either with a cheque or using BACS. For non-members of the club who wish to join, membership fees are due on 1st April each year and entitles you to reduced rates for practice and competition entry for a year. You can also participate in our Winter Series competitions for the overall prizes. Please fill in the PDF form, or else come along to the club on a competition day to join.